Home / Adam Sandler's "Just Go With It"
If you have a chance to see the new Adam Sandler movie, “Just Go With It”, you will see an appearance of our own Playground cap on the head of Bailee Madison. This gifted young actress is playing Jennifer Aniston’s daughter who is obsessed with acting and who’s one desire is to go to a top kids acting school (That’s us). 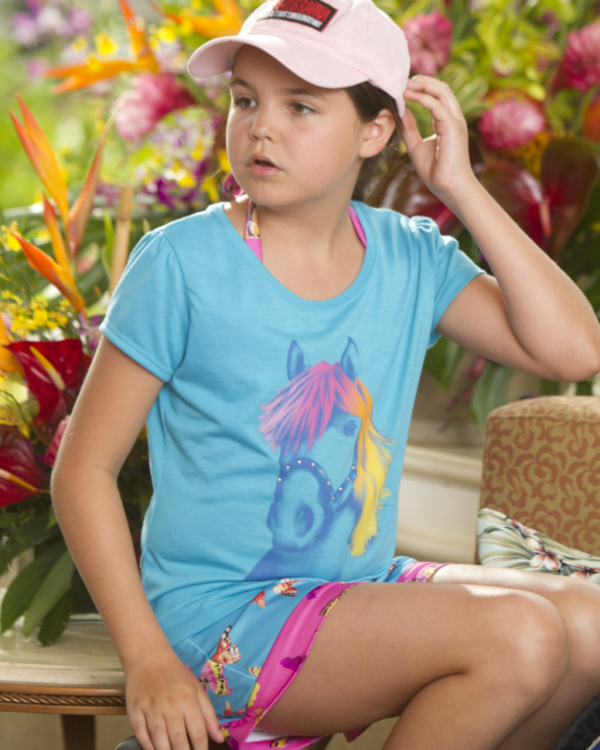 Later in the movie you will see her on a jungle hike in Hawaii wearing our Playground Conservatory hat. So look for the pink cap and enjoy the film. As you could imagine, This was a real compliment for us when production asked us (6 months ago) if they could use our name and logo in the movie. Here is a production still from a scene where “Maggie” wears The Playground Cap. You can watch a scene from the movie below. It’s a really funny movie, so you should definitely check it out!